Prepare an audit schedule for your organisation. Prepare an audit plan for each audit. 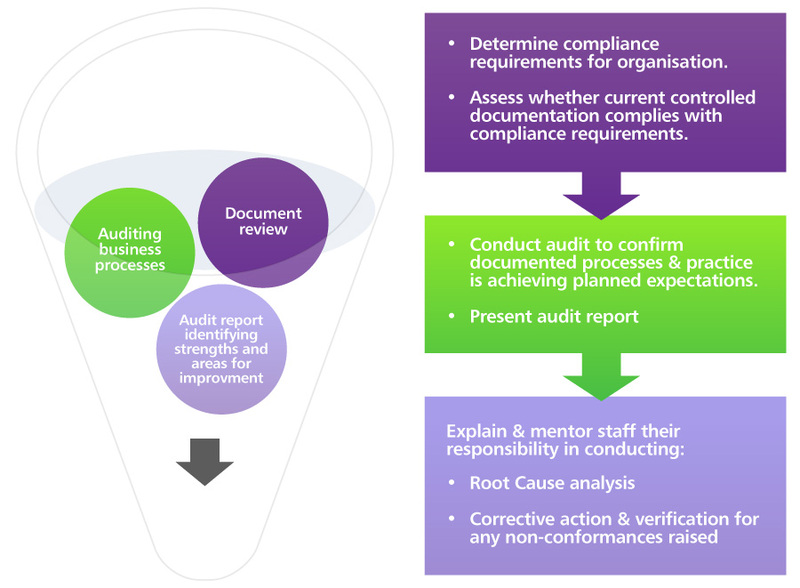 Conduct internal audits – gather information from staff involved in a particular process and assess whether the organisation is doing what they planned and getting the results they expected. Write audit reports for the organisation showing where the organisation has strengths, where it can see opportunities for improvement and where there is a gap and action is needed to get the situation back on track.